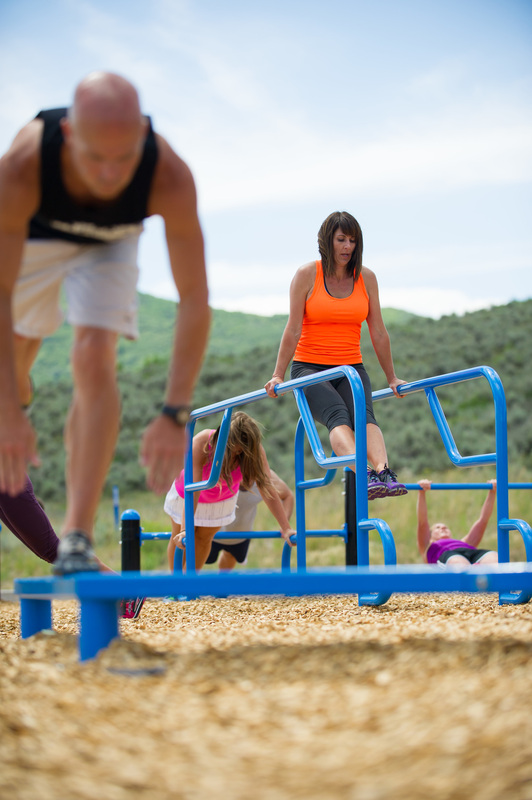 Park City, UT, July 23, 2014 — Beginning spring 2014, #ProjectParkCity brought a lot of anticipation to the community, in awaiting the exciting, new MoveStrong FitGround. However, residents will be pleased to know that the long wait is over — the latest installation is now complete! 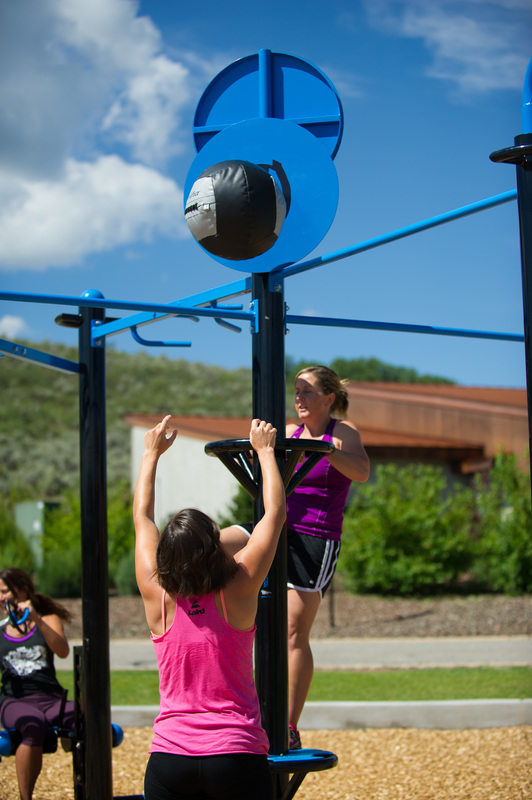 As well as the Double T-Rex Outdoor Fitness Station, Park City put a lot of thought into what other FitGround options should be featured, and decided to incorporate equipment that covers a lot of fitness aspects. Firstly, there are the Over Under Bars, which are used by jumping over or crouching under different height bars as an obstacle, perfect for agility training. Secondly, there are Push-Up Bars, catering for different push-up variations, inverted rows, and other upper-body exercises. The park also features Parallel Bars, commonly used as a gymnastics tool and for bodyweight strength training. Another great piece of equipment is the Zig Zag Balance Beam, used for improving balance and coordination. And finally, Plyo Platforms, used for step-ups, box jumps, and similar variations. All FitGround equipment is specially designed for outdoor use and is weather-proofed for tough and harsh conditions.